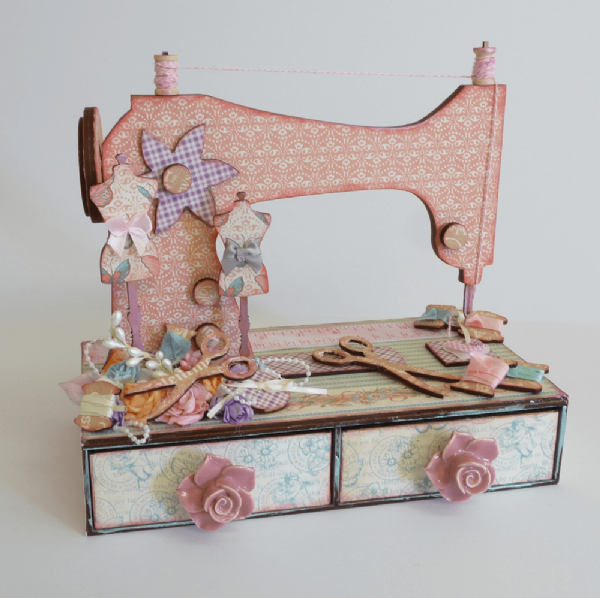 Made from 3mm Mdf this amazing Sewing machine Topper and drawer set is easy to assemble and is a real joy to decorate. Not only is it beautiful to look at, but makes an ideal little storage unit for your everyday sewing items. 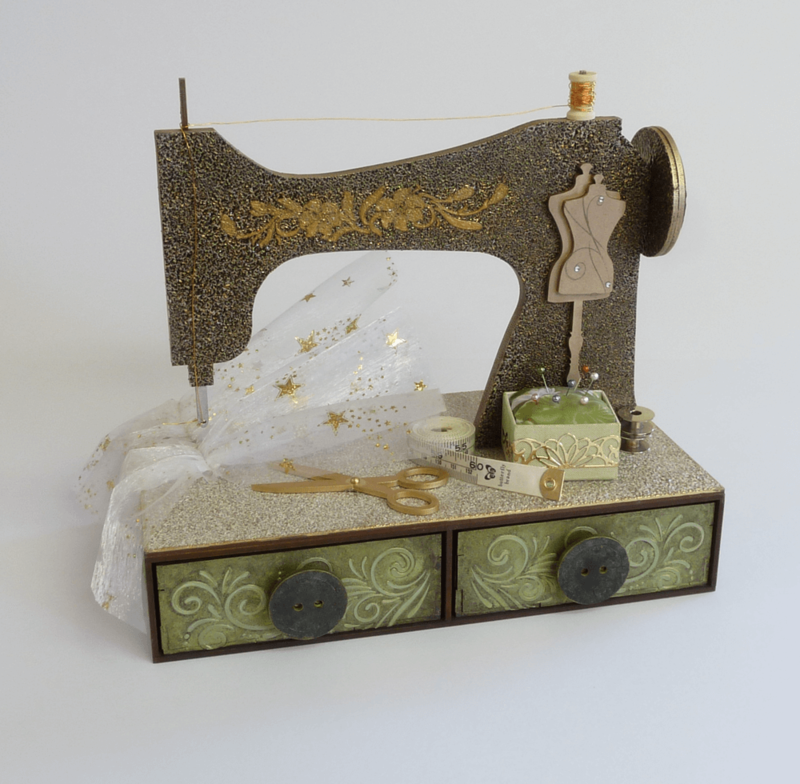 Great gift for a friend or loved one. 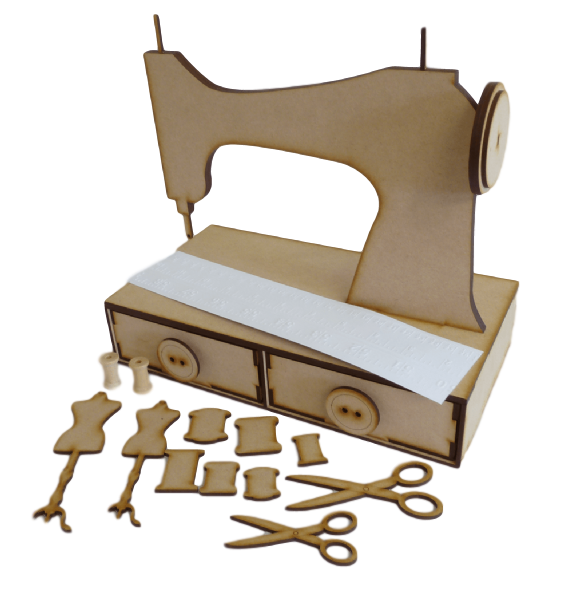 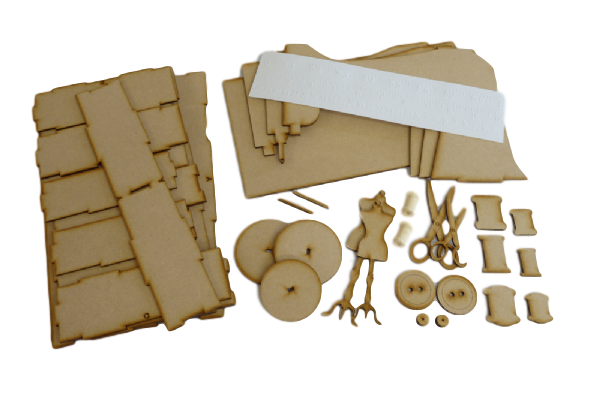 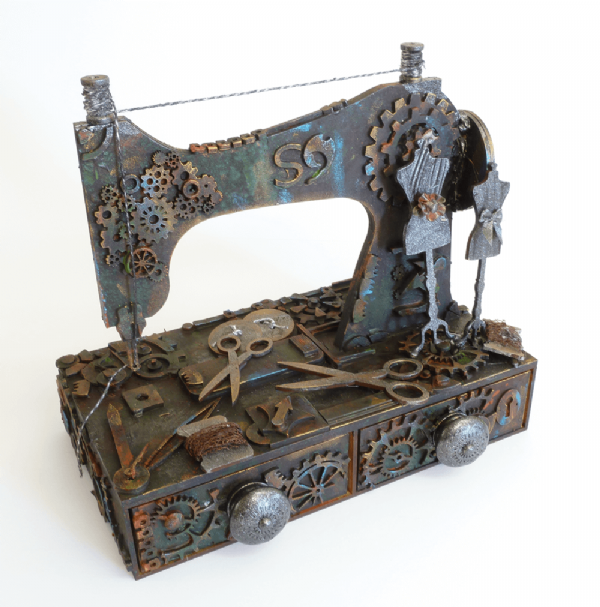 Kit includes : Parts for one Sewing Machine Topper, Two Drawer unit, pack of mdf sewing related embellishments - 2 Mannequins, 2 Pairs of scissors, 2 of each size of 3 designs of cotton reels, 2 Wooden 3D Cotton Reels and 1 embossed card ruler and two buttons with spacers for drawer knobs.